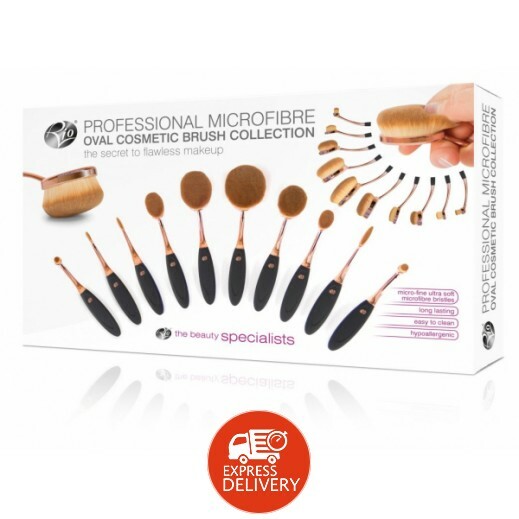 - The five-piece ESSENTIAL MICROFIBRE COSMETIC BRUSH COLLECTION is a state-of-the-art set of makeup tools that will help you achieve a flawless, airbrushed effect when applying liquid, cream and powder cosmetics. Tens of thousands of baby-soft microfibers, each crafted with a special tapered tip, glide across the contours of your skin to apply makeup and give an impressively smooth, even finish. 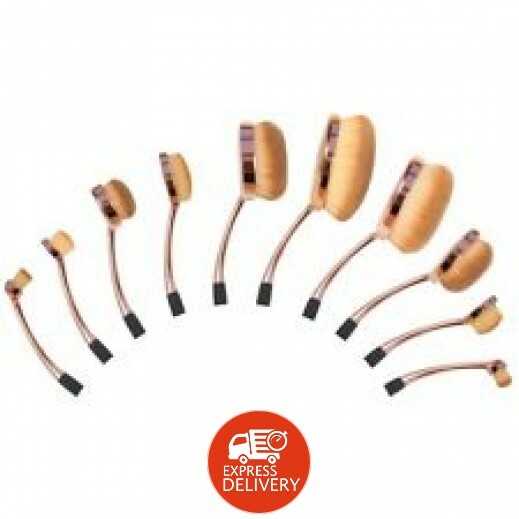 The result is a flawless airbrush appearance to enhance the make-up look. The five-piece collection includes: a foundation, powder and bronzer brush; a blusher and contour brush; a contour and eye makeup brush; an eye and brow brush; and a lip and concealer brush. 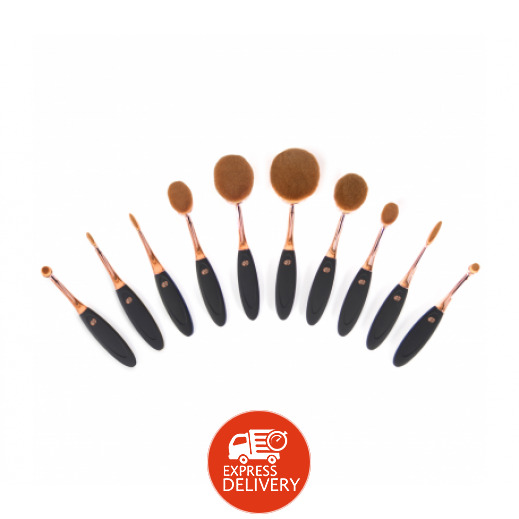 - The five-piece essential microfiber cosmetic brush collection is a state-of-the-art set of makeup tools that will help you achieve a flawless, airbrushed effect when applying liquid, cream and powder cosmetics. 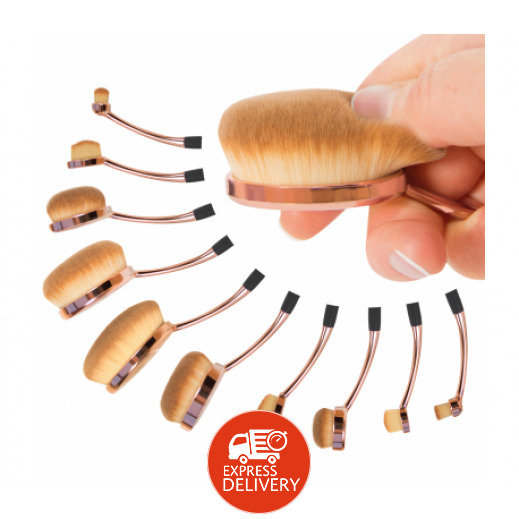 - Tens of thousands of baby-soft microfibers, each crafted with a special tapered tip, glide across the contours of the skin to apply makeup with an impressively smooth, even finish.